The Hillsound Armadillo LT™ gaiter was created to meet the need for high-performance, affordable gaiters for outdoor enthusiasts. The Armadillo LT™ is comprised of a waterproof and breathable upper made of Flexia three-layer fabric that is contour fitting and lightweight. This stretch fabric ensures a snug fit that won't pinch or fall down. The Hillsound Armadillo LT™ gaiter was created to meet the need for high-performance, affordable gaiters for outdoor enthusiasts. The Armadillo LT™ is comprised of a waterproof and breathable upper made of Flexia three-layer fabric that is contour fitting and lightweight. This stretch fabric ensures a snug fit that won&apos;t pinch or fall down. The lower is a 1000 denier, high-density nylon, providing supreme protection from the elements. 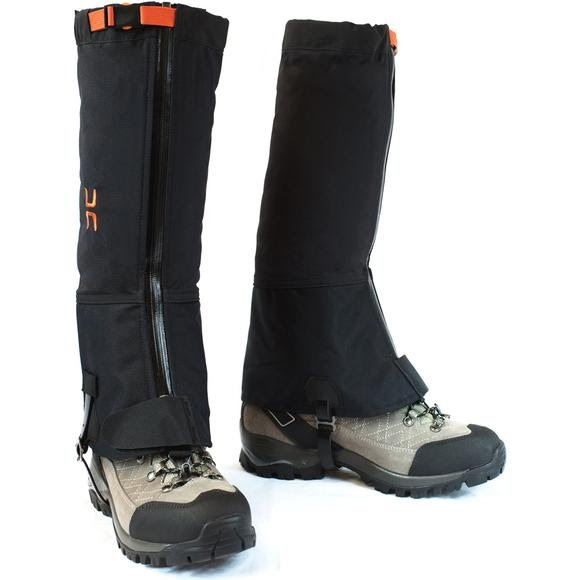 These gaiters will keep mud, trail debris and snow out of your socks and hiking boots. Like all Hillsound gaiters, the Armadillo LT™ features a YKK waterproof zipper to make it easy to get the gaiter on and off. The Armadillo LT™ is a solid choice for year-round hiking and snowshoeing. SuperFabric™ is used on the gaiter cuff to provide scuff protection while rock climbing. Hillsound, a Canadian based company that produces unique crampons and gaiters for rock and ice climbing. Product is exactly as advertised. Very happy. There was a slight mix-up with the order which caused a delay but customer service was quick to resolve and sent the item next day which showed up on my doorstep as promised.